A young couple’s fate is horribly being determined by a simple wrong turn they made during a road trip. 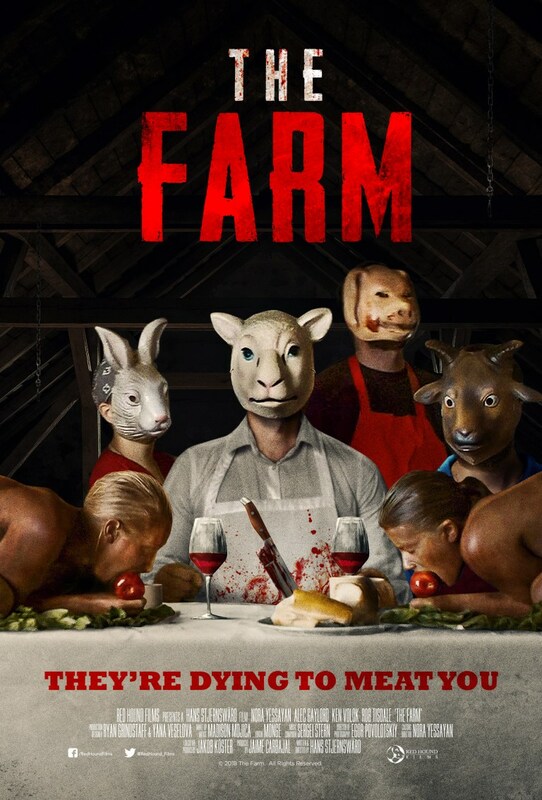 Their terrifying journey is being highlighted in the new official trailer and poster for the upcoming horror movie, ‘The Farm.’ The drama’s distributor, Red Hound Films, has unveiled the new assets for the cannibal movie, in honor of its upcoming release. The distributor is set to release the drama on November 16 in select theaters, as well as on VOD and digital. ‘The Farm’ was written and helmed by first-time feature film director, Hans Stjernswärd. The drama stars Nora Yessayan, Alex Gaylord, Ken Volok, Rob Tisdale and Kelly Mis. While taking a road trip, a young couple (Yessayan and Gaylord) takes a wrong turn on a highway and decides to stop at a diner for a meal. Little do they know that their choice of a simple hamburger will have such horrible consequences. Their journey soon becomes a harrowing story of survival and escape as they are kidnapped by local farmers with nefarious intentions. On their farm, humans are the main dish. For more information on ‘The Farm,’ visit its Facebook page. Distributor Red Hound Films has released the official trailer for the horror movie, 'The Farm,' which was written and directed by Hans Stjernswärd, and stars Nora Yessayan and Alex Gaylord.